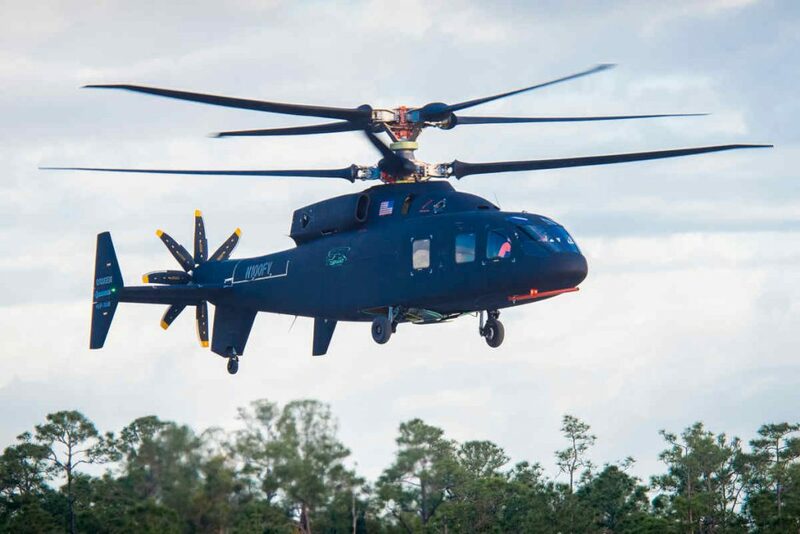 The Sikorsky-Boeing SB>1 DEFIANT helicopter achieved first flight at Sikorsky’s West Palm Beach, Fla., site. The aircraft, being jointly developed by Sikorsky and Boeing, is representative of the next generation of military helicopters within the U.S. Army’s Future Vertical Lift program. With its two coaxial main rotors and a rear mounted pusher propulsor, the development team explains the DEFIANT is unlike production rotorcraft available today, that it represents a leap forward in technology to achieve the U.S. government’s desire for vast increases in speed and range while improving maneuverability and survivability in a cost-effective way. DEFIANT aircraft’s use of X2 Technology, explains the companies, will allow the army to penetrate from strategic standoff and exploit gaps created in complex Anti-Access Area Denial systems against near-peer adversaries.